Our goal is to make your job easier. We take the challenges of shipping out of your hands, freeing up your time to focus on your core business. With substantial volumes of freight under our care and control Gibson has both the buying power and the technical expertise to create economical solutions for your shipping requirements. 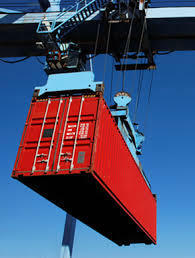 We can tailor our services to suit your specific needs by either negotiating rates and taking care of door-to-door movements or simply assisting with export documentation. • Complete import / export documentation services. • Rates comparison and negotiation. • Assisting with stuffing / de-stuffing and warehousing. • Available 24hrs a aday, 365 days a year.